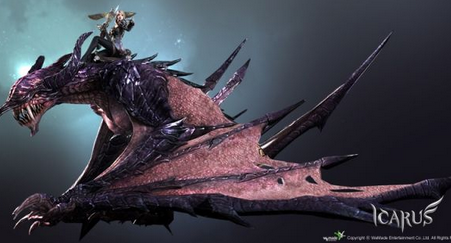 The latest Korean game icarus is available for open beta.Icarus is the first game in which characters fly riding on dragons to fight(which can be tamed also)in the world.But if players' IP addresses are not in Korea,then you can not download the icarus,or enter icarus's website to login,nor can you play icarus.What a pity! FlyVPN has Korea servers and can undoubtedly help you download icarus,and register an account on icarus's website which only accept IP address in Korea.One of FlyVPN's main functions is to change your original IP addresses into other countries' IP address according to the server you choose to connect. 1.Before connection,you can enter www.123cha.com to make sure your original IP　address. 2. After the connection,enter www.123cha.com again,and see if the IP address had been changed,if it had been changed into Korean IP addresses,your connection had been a success.Now you can be accepted by icarus website. Your boss or your teacher are extremily rigid and forbid you from play games when you are on business or in class?Haughted by the restrictions that your company,school or hotel had imposed on you?FlyVPN helps you bypass Internet restrictions from offices, schools and hotels. Attention:We have 3 FlyVPN plans:Shared IP VPN,USA Dedicated VPN,and Korea Dedicated IP. To play icarus,you had better choose Korea Dedicated IP. For Korea Dedicated IP has only one staic IP,and one account can have only one IP,which could effectively reduce the risk of your game account being sealed. And not only can you play icarus when you connect to Korea FlyVPN,other games in Korea which previously had refused your visit are also available to you once FlyVPN is in use. Furthermore,FlyVPN's functions are far more beyond changing your IP addresses into Korea IP addresses.It can reduce the game's ping time,namely,you would enjoy more of icarus with the help of Korea FlyVPN and you would be no longer stuck while you are playing games. 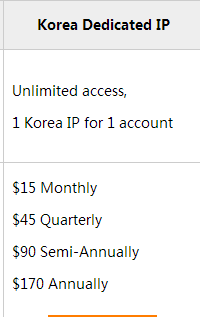 Lastly,you can have a free trial of Korea FlyVPN(namely connect to Korea FlyVPN) to see its effects and then decide whether you will buy it.The effects depend on local network's situation. Yes, hiding IP is necessary many times...It Prevents identity theft,Prevent spyware/malware/viruses,Provide safe browsing from work computer,Bypass country restricted websites,Prevent spam,Safer online shopping....I used the VPN mentioned in blog to hide my IP and check in Ip-details.com for the changed IP.